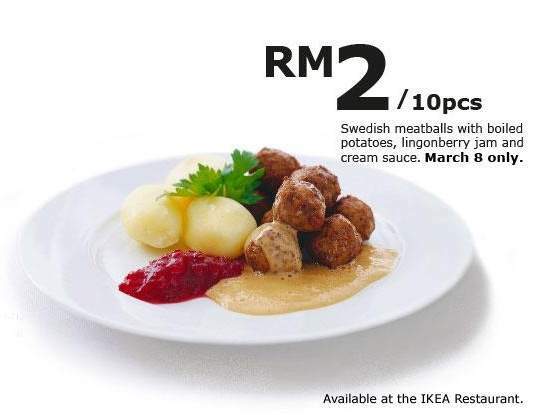 Grab IKEA's Swedish meatballs with boiled potatoes, lingonberry jam and cream sauce at RM 2 per 10pcs. This promotion is valid on 8th March 2013 (1-day) only. Do you like IKEA promotion?